Many of us dream of running our own business, with all the independence and satisfaction that offers. While striking out on your own can be personally and financially rewarding, getting off to a good start is crucial to success. So if you are seriously thinking about becoming your own boss there are a few questions you need to ask yourself. Firstly, are you suited to being self-employed? There are long hours, no guarantee of a steady income and no ancillary staff to do all those niggly tasks. Depending on the size of the business, you may need to become a jack of all trades, responsible for the finances, the marketing and computer upgrades. If you are still keen to go ahead, then you need to work out what kind of business and whether you want to buy an existing operation or start from scratch. Starting a business is probably higher risk than buying an established concern and it will invariably be easier to borrow money against an existing business with a trading history. However, you must still be vigilant to make sure you are not buying a pup. That means you need to do due diligence to determine not only the current worth of the business but also its future prospects. For instance, if you have a specialty hardware store and one of the major chains is opening nearby then you are probably better passing up that particular opportunity as future sales could be in jeopardy. Conduct extensive ASIC and credit searches. You need to know that the business complies with all regulations and is creditworthy. Ask for financial statements at least for the last three years. You need both tax returns and financial accounts so you can get a clear understanding of the assets and liabilities of the business. The accounts need to be properly prepared by an accountant. Examine market risks to the business such as its reputation, future legislation and the outlook for the industry in general. You can check with council to see if there are any potential developments in the area. How much are you paying for goodwill? If you buy a business that has treated customers badly then it may be an uphill battle to win them back. At the very least this should be reflected in the price. Make sure you are aware of all fixed and variable costs. Understand staffing arrangements. What are their ongoing entitlements such as sick pay and holiday pay? If the business is purchased through an asset sale, then you are under no obligation to offer continuity of service. Identify the assets of the business and their condition. If the equipment is old, you may need to replace it fairly soon. This should be reflected in the price. Make sure the trading stock is valued at market price on the day of disposal. Check there are no outstanding legal issues involving the business. Ensure any insurances related to the business are in place until the date of settlement. What is the business’ trading stock and what is its current valuation at date of disposal? It’s often also a good idea to spend time working alongside the previous owners before you settle on the purchase. The next step is to attend to practical tasks such as changing the ownership of the business into your name, implementing insurance policies and updating real estate agreements. And of course you will need to work out how you are financing the purchase. The more you research, the more you will know. 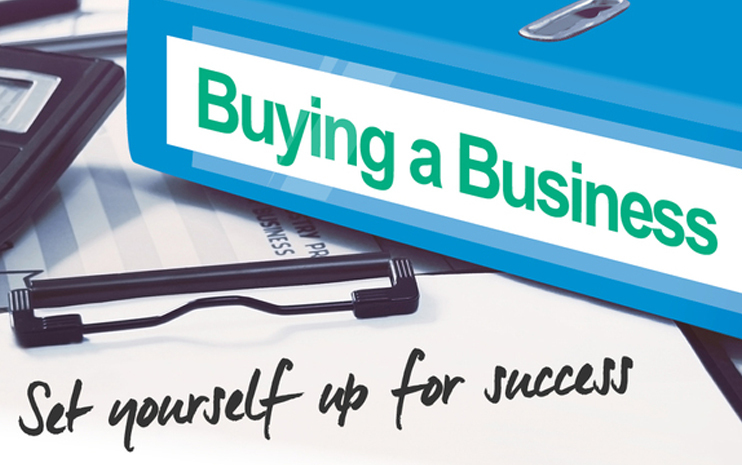 So, if you are considering purchasing a new business, then give us a call. We can help you turn your dream business into a successful reality. Previous Post Can you afford your dream retirement?